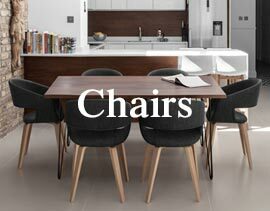 Here at Atlantic Shopping we have a huge range of dining chairs in lots of different styles, shapes and materials. 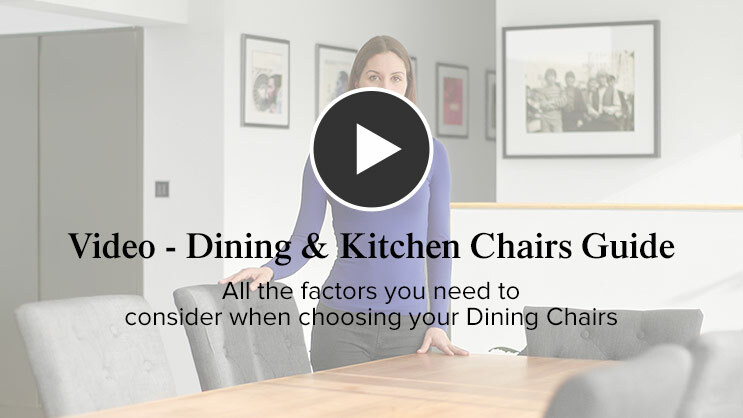 We’ve put together this handy buying guide to talk you through the main factors you need to consider when selecting your ideal chair. Generally bought in multiples, they can have a dramatic effect upon the overall look of your home, and so should be chosen carefully. Why not watch our short buying guide video below, taking you through the whole process. Whilst both a kitchen and dining room are used primarily for gathering around the table for food, each will require a slightly different style of furniture. Where you intend to use your chair will inevitably dictate the design, shape and material best suited. Whilst the kitchen is generally a more casual area used for a variety of activities, the more formal dining room is often reserved for special occasions and entertaining guests. It’s essential that you consider the look of your interior, and go for a chair with a finish and material that will not only match but also enhance your space. It’s also necessary to consider the location of your chairs in relation to the surrounding room. There needs to be enough space between the backs of your chairs and any walls, sideboards, or other furniture, to allow you and your guests to be seated at the table comfortably, and also get in and out of the chair with ease. You may also need room to walk behind the chairs to serve food or to access another room. We recommend leaving approximately 100-120cm between the edge of your table and the wall, this leaves around 40-60cm behind you when seated. This can depend on the depth of your chair, so be sure to measure your dining area before purchasing. 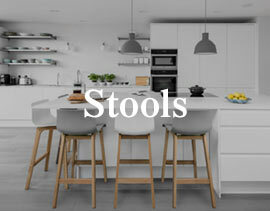 Functional and versatile, our kitchen chairs are available in a wide range of styles and colours. In use every day, it’s important that the seat of a kitchen chair is durable and practical. Easy to wipe clean and effortlessly chic, faux leather is a great choice for the kitchen, delivering both elegance and convenience. Alternatively, wooden chairs possess a more traditional charm, still providing a functional, resilient option. In contrast, dining chairs should provide a more luxurious, indulgent feel. Warm and inviting, your chosen seat material should emphasise comfort over practicality, encouraging diners to relax over good food and good company. Sumptuous real leather provides a touch of class, or go for a cushioned fabric dining chair for padded support and a lavish look. For a harmonious aesthetic, consider matching the frame to other surfaces in the room. For example, pair brushed steel appliances with similar brushed steel frames for an understated, elegant vibe. Alternatively, a polished chrome finish will provide a sleek, modern look. Wooden frames are traditional yet versatile, and available in many different grains and colours to suit both modern and more rustic interiors. Once you’ve chosen your finish, you’ll need to consider your frame shape. Models with a cantilever or ‘Z’ frame provide excellent comfort with sprung cushioning, while chairs with a single-column frame often include features like a gas-lift mechanism for adjustable height, and 360-degree swivel action. Or, why not go for a classic four-legged fixed height design for robust dependability. Like dressing tables, desks and computer workstations, kitchen and dining tables generally stand at around 75cm. With a seat height in the region of 43-50cm, our chairs are excellent accompaniments to all of these areas. Allowing plenty of room to move your legs around, they allow you to dine, work or get ready in comfort. 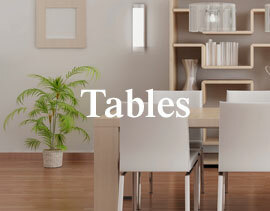 If you own a non-standard or custom-built table, you may require seating of a different height. We have many different stool-style chairs with a gas-lift mechanism, offering variable height and 360-swivel for total versatility, as seen in the Macy. Some can reach a height of up to 60cm, making them a great accessory to any raised table. If you are unsure of the seat height you need, we recommend leaving around 20-25cm between the underside of the table and the top of the seat pad. This enables you to reach the table easily with enough space to fit your legs underneath, as demonstrated in the image below. Our dining chairs come in a variety of backrest heights, ranging from as low as 33cm up to 59cm. As seen in the Grafton, with a backrest height of 33cm the chair has an overall height of 75cm, which is the same as a standard dining tabletop, whilst taller backrests like the Moreton will extend above the tabletop. With that in mind, lower models allow the table to be the main feature of the dining room, whereas higher designs make the chairs the focal point. As the rear of the seat is often seen more than the front, decorative details such as studs and chrome knockers are added to the rear of certain designs to make an eye-catching focus. Taller backrests may be a better option for rooms with high ceilings for a balanced and proportionate setting, and this works likewise with low ceilings and low backs. 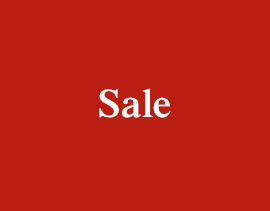 Many modern designs, like the Jersey and the Shanghai, tend to be at the lower end of the scale, whilst higher backrests are suited to the more traditional and formal designs such as the Carlo. All of our chairs will comfortably support your mid back, and models like the Ascot, can support your back up to the top of the thoracic spine. You can find out more in our article on Supportive Dining Chairs. It’s important to know how many chairs you actually require, which is why the width and shape of your table are other factors worth considering. Square tables are generally tailored to seat one person at each side. However, rectangular tables can be more complicated. We recommend leaving a gap of around 15cm between each seat in order to create a functional, accessible space. To work out how many people you can comfortably accommodate at each side of your table, simply add 15cm to the external width of your chosen chair. Then divide the length of your table by this number to give you the quantity of chairs you can fit on each side. It can be helpful to mark out the width of each chair on the floor with newspaper or masking tape to visualise the space that they’ll take up. Lastly, it’s worth bearing in mind that models with armrests are inevitably wider than those without. You’ll find a dimension diagram with all the measurements you need on each product’s listing page. Finally, when you’re making your choice, consider additional features like high backrests and armrests for support. Both can be welcome additions if you intend to sit for long periods of time. However, those short on space should take into consideration the extra room that they require. For smaller rooms, go for compact designs that tuck neatly under your table or kitchen counter, or stackable dining chairs that can be hidden away when not in use.